The Laindon School awaits its fate. 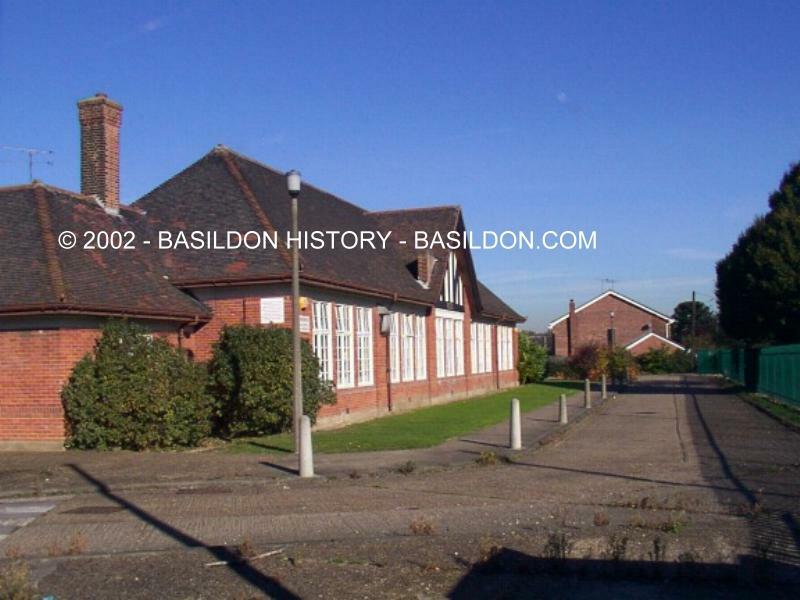 The Laindon High Road School along with Craylands - which mainly served the Vange, Pitsea and Nevendon areas later incorporated into the new town - were the only schools teaching at secondary level at the time that Basildon was designated a new town in 1949. The first new purpose built secondary school was Fryerns, which opened in 1956 as a Grammar and Technical school. Timberlog secondary modern followed soon after in 1957 along with Woodlands (Boys) & (Girls) (1958), Barstable, which also originally opened as a Grammar/Technical school (1962), Nicholas (1963), Chalvedon (1965) - also the first Comprehensive school in the Basildon District, and St. Anselms (Roman Catholic, 1972). In 1968 Barstable Grammar merged with Timberlog to form Barstable Comprehensive. In the same year Fryerns and Craylands also merged to form Fryerns Comprehensive. In 1978 Woodlands became a mixed school for all years, and in 1996 St. Anselms was renamed De La Salle. In the 1980s Laindon High Road was renamed The Laindon School, and in 1998 closed along with Nicholas and merged to form The James Hornsby High School, which in September 2000 relocated to the former Nicholas school site. Also in July 1999 Fryerns Community school - as it had then become - closed with pupils allocated places at various other Schools in Basildon and the surrounding area. In January 2006 Chalvedon and Barstable became federated; becoming the Federation of Chalvedon School and Sixth Form College and Barstable Schools. From September 2009 Barstable became The Basildon Lower Academy and Chalvedon became The Basildon Upper Academy. Text written 2002 with revisions 2002-2009. Copyright © 2002-2009, 2014, B.Cox, Basildon History Online. All rights reserved.